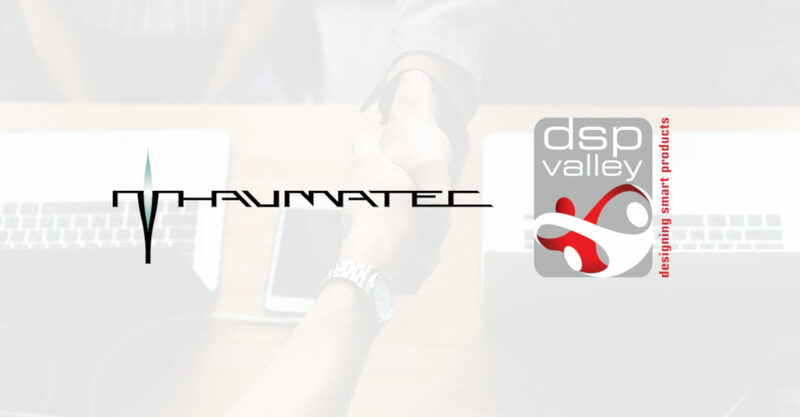 It’s a busy time for us – yesterday our CEO was talking about the global success of Thaumatec during ITCorner Summit and today we travelled almost 1000 kilometres for the DSP Valley New Year’s Event – Member Meeting where we will introduce (again) our company to the members of this amazing tech cluster! DSP Valley groups more than one hundred members working in the area of smart electronic systems and embedded technologies. Being a part of the group equals having the access to networking platform, knowledge, and experience. DSP Valley really pays attention to its members and supports their innovations. The cluster was created in 1996 and from this time it has engaged in many activities which resulted in having global respect. Thanks to that DSP Valley is now one of the most valuable societies in the industry. The headquarter is in Leuven, Belgium with a branch office in Eindhoven, the Netherlands. Our CEO, Krzysztof Berezowski will once again introduce our growing company to all the members of the cluster and will describe the profile of our company together with our flagship technologies.